If you have a passion for the Titanic, Music Aboard the Titanic is the cd for you. 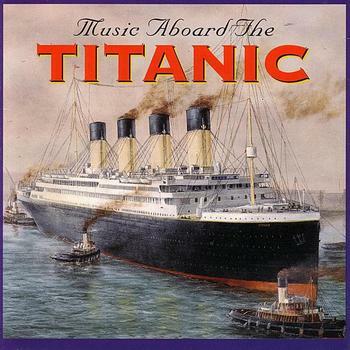 This nostalgic and incomparable Titanic cd contains classical and ragtime music from the actual songbooks used by the White Star Line, the shipping company that owned the RMS Titanic and includes what is commonly referred to as the Titanic sinking music, or Nearer My God To Thee, which is the last known song the band played before the Titanic sank below the waves on the 15th of April 1912. Music Aboard the Titanic contains authentic Titanic music from the White Star Line songbook, the collection of music used by the actual musicians on board the Titanic. Officially endorsed by Titanic: The Exhibition in Memphis, TN, this Titanic CD includes classical and ragtime music from 1912 that will make you feel as if you’re actually on board the RMS Titanic. “Nearer, My God, to Thee,” “Blue Danube,” “Let Me Call You Sweetheart,” and “Maple Leaf Rag” are just a few of the tracks featured on this definitive collection of music from Titanic. Memphis Jazz Orchestra co-founder and U.S. Navy musician Carl Wolfe has handpicked, produced, and arranged memorable music Titanic fans will adore. Nearly every piece of Titanic music has the same instrumentation that was used by the musicians on board the iconic ship. Music Aboard the Titanic also includes two original songs composed by Wolfe that encapsulate the spirit of the Titanic’s calamitous journey. “Leaving Queenstown” is a grand, majestic song inspired by the optimistic beginning of the ship’s maiden voyage. 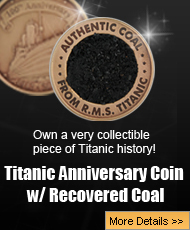 “Fateful Hour” is a more somber piece that represents the Titanic’s tragic sinking. “Nearer, My God, to Thee” was said to have been one of Titanic band leader Wallace Hartley’s favorite songs. Whether you’ve got a scholarly interest in the Titanic or just a love of the 1997 movie, you’ll recognize this unforgettable Titanic sinking music. Sarah Flower Adams’s “Nearer, My God, to Thee” song is a Christian hymn that, according to legend, was played by the musicians on board the Titanic as it sank into the icy water. Rumor has it that the musicians continued to play until the very end. This momentous Titanic song caps off Music Aboard the Titanic by paying tribute to the courageous and stalwart musicians on board the sinking ship.